Mouni Roy looks sizzling hot in an off-shoulder dress as she poses for a magazine cover. Mouni Roy is one of the hottest TV and Bollywood actors who is making headlines for her back to back Bollywood films. She is a perfect example of beauty and brains and we simply can’t get over how gorgeous she looks whenever she posts something on Instagram. We recently stumbled upon a magazine cover of the diva and we are going weak in the knees. Mouni reposted an Instagram post which shows a magazine cover. 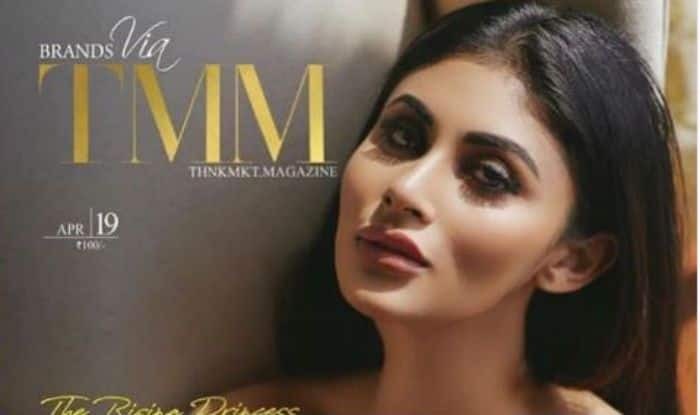 Mouni Roy looks drop-dead gorgeous as she poses for the cover of TMM India magazine. The April issue shows Mouni Roy posing with middle parting hair, dressed in black off-shoulder dress and with smokey eyes and minimal make-up on. A few days ago, Mouni met with an accident due to which she suffered a bone injury. As per the reports, she was immediately rushed to the hospital and had been admitted for two days. A source told entertainment portal SpotboyE, “Yes, Mouni was hospitalized in Kokilaben Ambani Hospital for 1-2 days. She had severe pain in the elbow since 2-3 days, which needed medical assistance”. On the professional front, Mouni Roy was last seen in John Abraham starrer ‘Romeo Akbar Walter’ which is a spy thriller that is set against the backdrop of the Indo-Pakistani War of 1971. Mouni played John’s love interest and she looked as gorgeous as ever in her role. Mouni Roy has started shooting for ‘Made In China’ which will feature Rajkummar Rao in lead role. The actor will also be seen in Alia Bhatt, Amitabh Bachchan and Ranbir Kapoor starrer Brahmastra.